By Miwa Oseki Robbins, who enlivened my Mushrooms Class in Fall 2012. The farmers of Japan say thunderstorms are good luck– they make the mushrooms grow.1 And mushrooms and thunderstorms are partners in folklore all over the world. The ancient god Soma may even have been a mushroom himself. In the book, Soma: Divine Mushroom of Immortality, Gordon Wasson2 argues that Amanita muscaria, the classic red or yellow fly agaric, is the identity of the mysterious Soma, god of the RgVeda, a sacred collection of ancient Vedic Sanskrit hymns. These hymns are some of the world’s oldest religious texts, and from them we know Soma is “the child of the thunderstorm”. Is Soma really a mushroom? 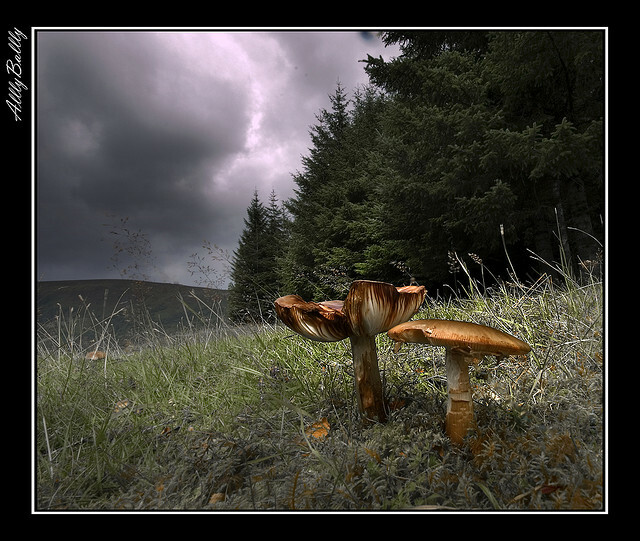 Are mushrooms the children of thunderstorms? Read on. Science, alas, has had little to say about mushrooms and thunderstorms. Until now. Recently, scientists in Japan have demonstrated a link between lightning and prolific mushroom fruiting.1 Although their interest in lightning and mushrooms is not driven by a religious quest, their research may inadvertently shed light on an ethnographic mystery. Today, shiitake (Lentinula edodes), buna-shimeji (Hypsizygus marmoreus), eryngii (Pleurotus eryngii), and matsutake (Tricholoma matsutake) mushrooms are high value health foods in Japan.1,3 Matsutakes now sell for $439 U.S. dollars a pound.3 Before you think you might get rich by growing some, you must consider that these are ectomycorrhizal mushrooms that only grow symbiotically with their pine tree hosts, so the world’s harvest is entirely collected from the wild. Although harvest of these mushrooms in Japan peaked at 12,000 metric tons in 1941, harvest declined to 34 metric tons in 2005, not due to lack of demand but due to many threats to these red pine forests, including a pine wood nematode infestation that has been wreaking havoc in these ecosystems.3 People want more mushrooms. Let’s harness the power of lightning. 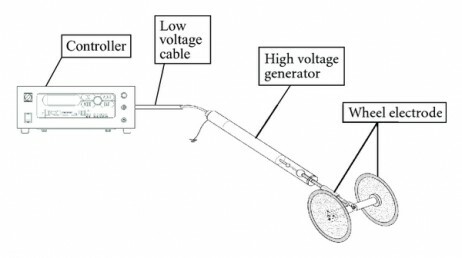 The use of direct current (DC) electric fields on living tissue is not a new idea, but has a long and contentious history. Even back in 1985, when Robinson 4 wrote a review of the topic, he was able to find 8 reliable reports involving plant cells and 4 on animal cells responding to DC fields. The reports ranged from growth of neurons towards the negative electrode to a “healing” response of wounds. Many of these observations seem to have been dismissed as “laboratory curiosities,” unlikely to have much real world application. In Japan, though, electrical stimulation has been used in the production of Shiitake, Buna-shimejo, and eryngii mushrooms for almost half a decade. And this technology doesn’t seem to be limited to mushrooms, as farmers are also using electromagnetic field technology in the production of tomato, lettuce, strawberry, and some ornamental plants. The results were yields of matsutake mushrooms just about double the yields in unzapped control plots. A monstrous flush came two weeks after the pulse and a second one nearly as large 3 weeks after. But it wasn’t just the quantity that increased, the quality, as measured by weight and size of individual matustake mushrooms also showed dramatic increases: Harvests from the zapped plots were, on average, almost 70% heavier then controls.3 If you thought mushrooms were magical all on their own, the combination of mushrooms and electricity might knock your socks off. Fungi are mysterious things and the mechanism by which electrical stimulation promotes mushroom fruiting is still not much understood. Perhaps the mushroom mycelium is responding to an apparent threat of death by redoubling its reproductive efforts? Many electrifying questions remain. Like: how does the zapping affect forest trees? Can the high fruiting rates be sustained without damaging the mushroom-tree symbiosis? When’s the next thunderstorm due in my neighborhood? In the meantime, if you feel like experimenting (safely, of course) with mushrooms and electricity, you might want to check out this intriguing post about a New York City mycophile who grew his mushrooms amid Jazz music, artificial fog, and static electricity. Or, next time you go in the woods foraging for mushrooms, look for trees recently struck by lightning. Who knows what you will find. Maybe you will even have an encounter with the god Soma, child of the thunderstorm. 2. R.G. Wasson. “Soma: Divine Mushroom of Immortality.” 1968. 4. K. R. Robinson, “The responses of cells to electrical fields: a review,” Journal of Cell Biology, vol. 101(6): 2023–2027, 1985. 5. 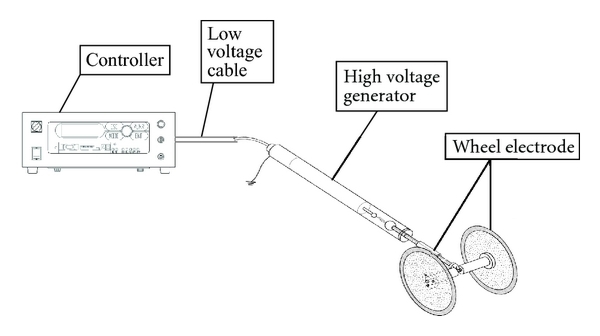 S. Tsukamoto, T. Maeda, M. Ikeda, and H. Akiyama, “Application of pulsed power to mushroom culturing,” in Proceedings of the 14th IEEE International Pulsed Power Conference, pp. 1116–1119, Dallas, Texas, USA, June 2003. 6. W. R. Adey, “Biological Effects of Electromagnetic Fields,” in Journal of Cellular Biochemistry 51:410-416. 1993. 7. S. Ohga and S. Iida. “Effect of electric impulse on sporocarp formation of ectomycorrhizal fungus Laccaria laccata in Japanese red pine plantation.” J. Forest Res. 6: 37-41. 2001. Several years ago, a friend of mine from Iraq, told me that after lightning storms in the desert, the people would go out to find where the lightning hit the earth, and dig around these strike areas to find desert truffles. I always assumed it was the accompanying rain that made this successful, but maybe not! This report is totally shocking. If this is true it has electrifying possibilities in a variety of applications. Wait til Thor hears about this. Who knew?